Rookie | Buku Khamis Highlights Watch highlights of Western Bulldogs rookie draft selection Buku Khamis, an intercept marking defender from the Club's Next Generation Academy. The Western Bulldogs have snared exciting young talent Buku Khamis (above) as a pre-selected rookie for the 2019 season. Buku is a fantastic example of the talent in our Next Generation Academy and the development pathway that exists in the AFL. 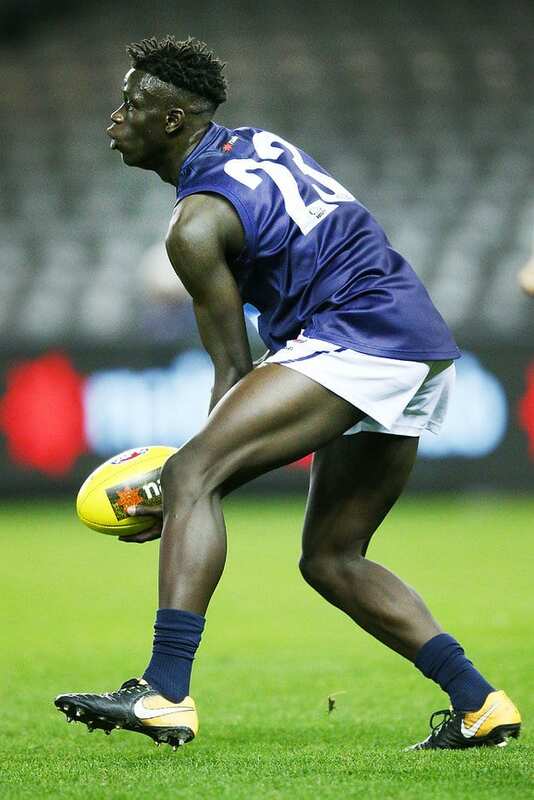 Khamis was allowed clear passage to the Bulldogs as a pre-selected rookie under the rules governing the selection of players who are part of AFL club next generation academies. Khamis was not selected in the NAB AFL Draft, allowing the Dogs to secure him as a rookie. A relatively late bloomer in a football sense, Khamis, a refugee from South Sudan, moved to Australia in 2006 with his family and took up AFL in his last year of primary school. He is a product of the Dogs’ Next Generation Academy, and was a participant in the Western Bulldogs Community Foundation’s Ready SETTLE Go program. The athletic defender has the ability to take on the game with his impressive running ability, and possesses clean skills. He is a great intercept mark and reads the flight of the ball well. “Buku is a fantastic example of the talent in our Next Generation Academy and the development pathway that exists in the AFL,” said Bulldogs’ General Manager of List and Recruiting, Sam Power. Khamis represented Vic Metro and was awarded All-Australian selection in 2018.